As usual, this report has no intentions to be complete, comprehensive or render a definitive statement. Nor does it make apologies for that. After all, there's only so much one guy can cover solo. What follows then is a personal recollection, of products and personalities that left a lasting impression. Your tour guide has a well-known bias for a certain kind of presentation and sound. This inclination of course predicated which exhibits prompted a response worth sharing with you. Naturally, it also affected which exhibits aroused an interest to visit in the first place. Without further ado, what would audio be without its colorful personalities, idiosyncratic designers, driven inventors and music fiends? One of my favorites? Joe Fratus of Art Audio. I raise an imaginary glass in salute to his passion for all things musical (which includes a personal record collection of 6000+). More importantly though, I raise my glass to his passion for life in general, his non-judgmental embrace of all different kinds of people, his boundless generosity of spirit that touches everyone fortunate enough to -- even very briefly -- move through his sphere. Seeing this in action over dinner with some brand-new acquaintances once again was - well, profoundly touching. I wipe a very real tear from my eye right now. I'm serious. This man's got his priorities straight. And he's got the big heart that peope have who drink from this boundless well of unqualified passion. Bottoms up, Joe! Thank you for being who you are - and introducing me to lobster sashimi and your special spicy goop. Such a growing friendship forbids me from ever formally reviewing any of your products again. But it don't mean, jellybean, that I can't, informally, talk about when your stuff sounds wonderful - without being accused of undue partisanship. Incidentally, Joe's collaborative exhibit with Galante Audio and Virtual Bass Technologies in the St. Remo suite #815 gets my unbiased vote for best -- translated: Utterly flawless, non-boomy, linear, invisible -- integration of flat-to-20Hz bass in a modestly sized, non-optimized, real-world space. Each amp can power two subs for stereo bass. 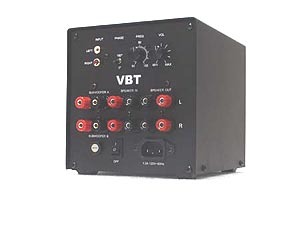 In this setup, the VBT folks actually used two amplifiers though. Stanley Clarke's "Passenger 57 Main Title" from At the Movies exhibited the kind of sub-harmonic foundation below the fundamentals that no other room my friend Nobuko and I tried pulled off this consummately. Simply, the rock-solid but natural bass in this space didn't seem to know how to play ping-pong with room boundaries, for that muddy, overdone, out-of-control, peaky bass we all (should!) love to hate. These subs could be the magic silver bullet. Turn the bandwidth-limited coherence of good two-way monitors into monster speaker territory without introducing the usual liabilites. In other words, color me impressed - shitless. Can I say that to make a point? Well, I just did. You see, getting full-range bass right is damn-nigh impossible. Especially in small hotel rooms. Thus VBT's aural scene was a rerun of Mission Impossible. I didn't have time to learn about their specifics - on how they achieve this miracle. From the brief commentary I did capture, it's clear that some fundamentally radical new thinking and concomitant technical solutions have been employed here. I'm hoping to get review product to report in elaborate detail - to satisfy my own conceptual curiosity as well as to test the actual performance parameters in my own rooms. A second suite that used Galante speakers, sounded phenomenal and introduced me to another déja-vu price/performance watershed bargain? The Sophia Electric room #1562 in the Alexis Park. Sophia showed a limited-production $800 tubed baby amplifier with claimed frequency response of 6-100,00Hz, >97dB S/N ratio said to be fully compatible with 112dB horns, about 10 watts of output power and an integral passive attenuator so it can be used as an integrated. Apparently, this amp benefits from spare parts used in the firm's $7,500 845-based SETs. They can build 800 units for this special introductory price. Once sold out, the estimated tariff of the subsequent run bumps up to $1,200. 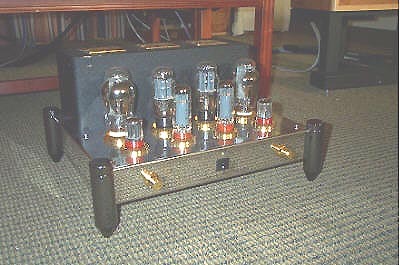 The four output tubes looked like 6BQ5/EL84 . Actually, they're Russian military super tubes of unusally advanced specs normally encountered in rocket launchers. The firm's boisterous representative was confident that his little baby amp is suitable for speakers of 88dB-and-up sensitivity. While that rings overly optimistic, the glorious sound he was making did relax my usual reactivity to hyperbole. 88dB speakers? Perhaps. Best bang for the buck? Without a moment's hesitation. This li'l cutie gets my unofficial "Best Sub-1K, Glow-in-the-dark Discovery Award" . For sheer curb appeal, their 9-watt mesh-plate 300B SET ($3,500) based on the classic Western Electric 91 design with 6SN7 input stage, EL-34 drivers and tube rectification weighed in like a Sumo wrestler. I can't report on its sonic mat prowess as it wasn't mano-i-mano with the tunes at the time. 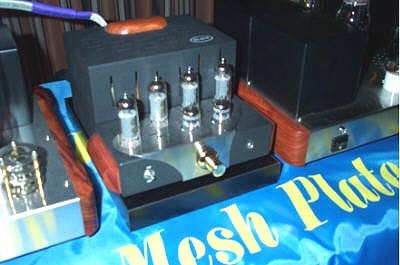 As tube manufacturer (their new 274 rectifier is endorsed with great enthusiasm by Art Audio's Joe Fratus), Sophia showed a unique indicator tube. Unlike Cary's well-known pulsating round "green cat eye", this one looks like a common 12AX7-type small signal valve. But then it sports vertical white lights that move up and down with output power. Kinda cool in a lava lamp way. Two speakers that sounded absolutely wonderful in two different setups each? Tash Goka's Reference 3A Corian-clad Virtuoso two-way monitor and Verity Audio's Parsefal. The former could be heard with Art Audio's Sophia Electric 300-B mesh-plate Symphony II amplifier as well as Antique Sound Lab's paralleled 300-B SET integrated. Here's an admission from a digital dude whose alliance is purely predicated upon his listening fare (it doesn't exist on vinyl): The$5k rig of Nottingham Analogue Spacedeck turntable with humble arm/cartridge rigged to Joe's new Vinyl Reference phonostage absolutely trounced his parallel $10K Accoustic Arts transport/Gill Elise Signature tubed DAC combo on Chicane's Saltwater 12" LP versus the same CD. (The new Vinyl Reference is a joint collaboration with ex-VAC Kevin Carter. He has joined the Tom Willis/David Gill/Joe Fratus brain trust at Art Audio. Expect exciting future projects from this collaboration.) No comparison. The analog rig presented the music from within while the digital version sounded like a mere ghost. The vinyl rendition was the real fire-breathing dragon. It ruled the land. CES 2003 saw many a happening room that spun vinyl alongside digital. More about some groovy secrets in the Zanden section! The Verity Audio Parsefal sang in the Nagra exhibit as well as Bel Canto display. For performing in a demonstrably stand-out fashion in two different rooms each, both speaker designs deserve "Special Category" recognition. Simon sez they're definitely worth checking out. Ditto for Tenor Audio's OTLs - two rooms that used 'em (one with Kharma speakers, the other with Talon Audio's new Firebird) sounded outstanding. Seeing Tenor's François Lemay close his eyes during customer demos to enjoy their music spoke volumes about what motivates him. Bravo! Most impressive new speaker introduction and one of my favorite sounds at the show? Triangle's new $32,000/pr Magellan line-source. Whoa baby! 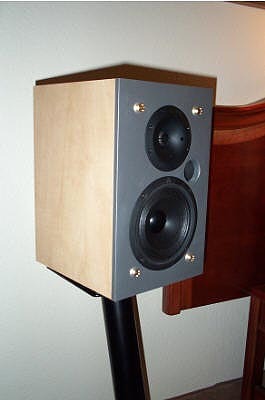 These speakers did everything except the very lowest bass below 30. Speed. Dynamics. Clarity. Emotional communicativeness. Beam-me-up disappearance. Sheer scale and power. Very attractive cosmetics. I'm running out of audiophile watch words to cross off my list. 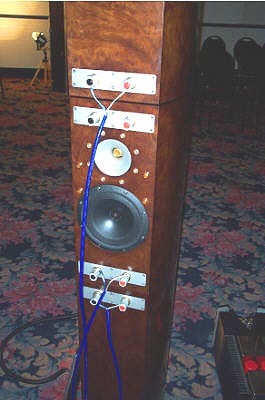 A very mild loss of control and definition in my demo's upper midbass performance -- which, according to importer Richard Kohlruss' post-show hallway assessment, was confirmed also by Triangle's own people -- was due to the Pathos Inpol amplifiers. But then, my visit was hosted by a Pathos representative whose turn it was to conduct the ceremonies. He did the right thing to play his own amps. Apparently, Triangle's own representatives preferred the Cairn amplifiers for their added control and speed. In Europe, Cairn is often dubbed the "French Naim". It does the timing thing exceedingly well and doesn't blur transients. It's a lively sound that I personally like very much. The Celius driven by a Cairn integrated in Triangle's Alexis Park location gave an equally impressive down-scaled showing. Only my personal Triangle Ventis powered by the Pathos Logos in a smaller room adjacent to the Magellan exhibit sounded somewhat broken. Was something wrong, or was it merely being compared to the incredible adrenaline rush that its far larger, far more expensive brother engendered minutes earlier? Why would you spend $32,000 to not get 20Hz extension? I firmly believe that Triangle's mastermind Renauld de Vergnette has made the counter-intuitively proper choice. Midbass speed and definition are far more critical for real-world room integration and truly satisfying musical performance than those last dying words about stygian abyss mining. Frankly, to get that, you're better off with a powered subwoofer's placement flexibility as well as its adjustability for relative bass balance. Triangle will introduce a matching Magellan sub for those wishing to accompany Capt'n Nemo's submarine. I'm obviously excited about the Magellan. Why? 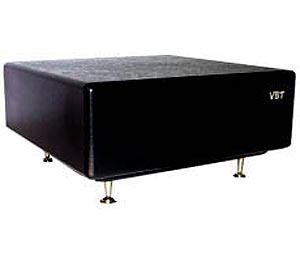 Because it gives you Avantgarde hornspeaker-type sound in a more conventionally acceptable cosmetic package. Let's face it, not everyone fancies the spherical horn look. The Magellan is an 85" tall speaker barely wider than its four 6-inch bass units, swelling to 11" midway of its 13.4" depth dimension. A brand-new compression-loaded horn tweeter front and aft is mated to an 80-15,000Hz staggeringly full-range midrange (again mirror-imaged on the back). This central array is augmented by dual woofers above and below. Those nestle up to the discrete center cabinet of this tri-segment affair to control floor and ceiling loading. 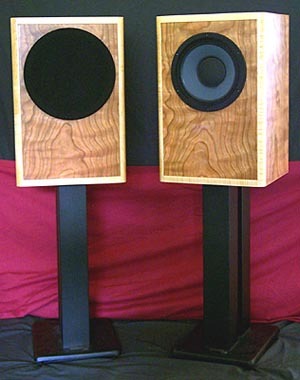 The top- and bottom-most halves of the woofer cabinets are occupied by a front-firing port each. Now add 94dB sensitivity and nominal 8-ohm impedance. You'll appreciate the Magellan's propulsive dynamics and clarity already on paper. Despite its lanky but tall dimensions, the Magellan is said to work beautifully in 12'x20' rooms with conventional ceiling heights. I've requested a review sample. Let's see whether the Gods of import logistics smile upon that dream. 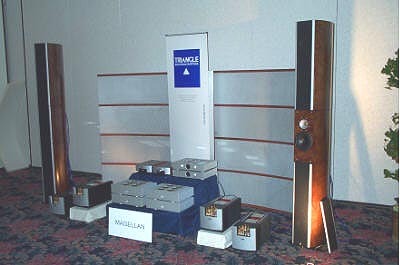 Triangle also introduced a blond-wood/silver-baffle aesthetic in France and brought a pair to the US for domestic dealer feedback. Not available stateside until further notice, you may want to speak up if you'd like to see this look at your local dealer anytime soon. With these product highlights out of the way, we'll now continue my show coverage in alphabetical order. That should equalize any potential perceptions of favoritism or implied importance that sequencing -- deciding what to say first and last -- can sometimes engender. As you will see, there were many other products and companies that caught my notice. But these three -- VBT subwoofers, Sophia Electric baby amp and Triangle Magellan speakers -- stood out as meriting extra attention. Hence they occupy pride of place on our opening page.